There are lots of fun guests who come through the studios at the radio station where I work. And yesterday, one of my favorite artists stopped by to spread some holiday cheer. Stephan Pastis is the creator of the comic strip Pearls Before Swine. He is just as funny in person as his characters are in the strip. I had him sign a few things for Christmas presents (thanks Stephan!) 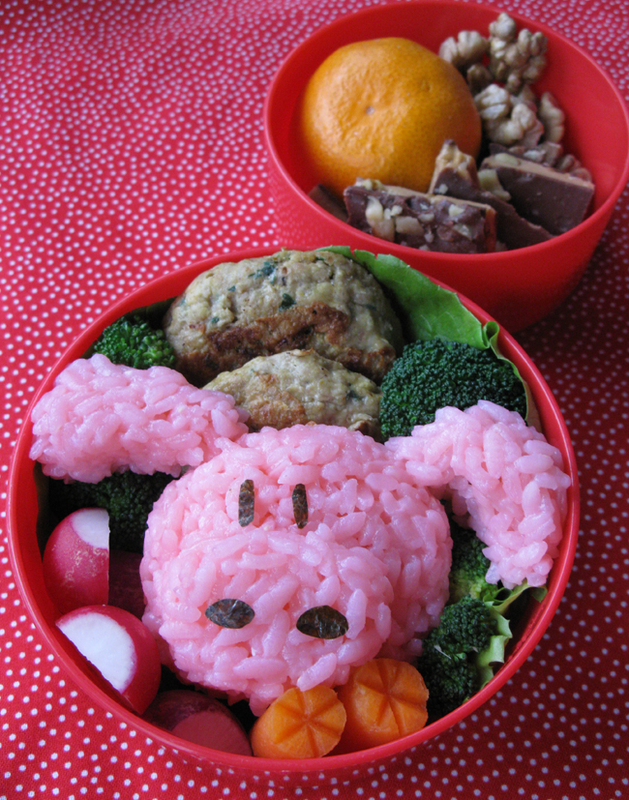 and I also made this bento box with my favorite character from Pearls: Pig! 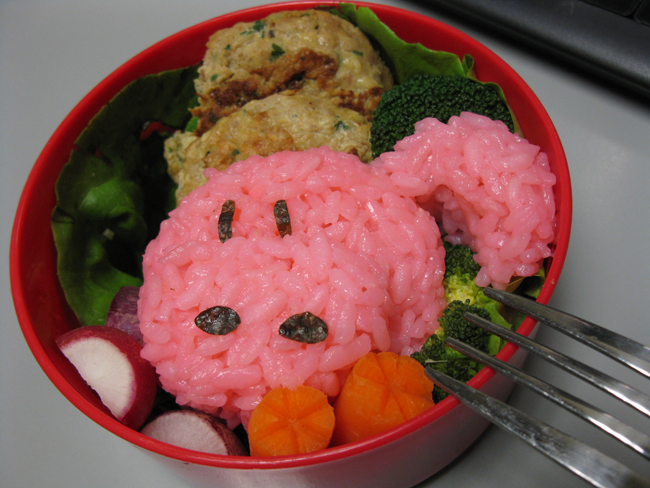 In this bento: pink rice in the shape of Pig with nori eyes and nostrils. Also radishes from Crescent Moon Farms, baby carrots, steamed broccoli, and pork patties. In the upper compartment: a mandarin orange from Twin Peaks, walnuts from the Santa Rosa Original Certified Farmers Market, and toffee made by my friends Kerry and Danielle. 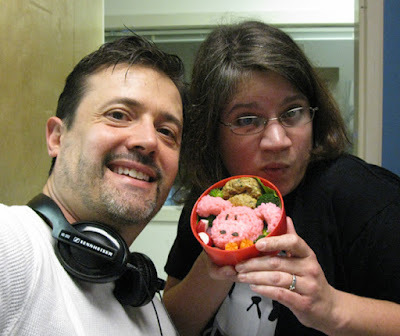 Here's me and Stephan with the Pig bento. I think I like Pig the best because he is so gullible and innocent. I am pretty gullible, but not so innocent. Also, Pig tends to see the silver lining and I try to do that too. Also, if you are on Facebook, CasaBento is hosting a best holiday bento contest. A few of us are finalists and would love your vote. Sheri of Happy Little Bento, Crystal of Adventures In Bentomaking, and me, Michelle of Sonoma Bento. Head to CasaBento's Facebook page to vote for your favorites. You did a great job of duplicating Pig by hand; I assume there is no store-bought mold. So cool! I love how you see the creative potential of bento, SB :D Happy Holidays!! Thanks Tatabonita! I was so happy that he liked it! He even took a picture of it with his phone and made it his phone's wallpaper. Eeeeee! Thanks dragonmamma! I did Pig by hand, luckily he is not too complicated. Thanks so much Sonja! It's the funniest comic strip in the paper! Hee hee, thanks Bentobird! I was really hoping that John Lasseter of Pixar would make his annual visit to the station so I could make a Toy Story bento, but he didn't have time this year. I may still make one anyway! Is the Mondays with Michelle on KSRO or Froggy? I have to admit I don't usually listen to either of those; I'm a "River" listener. I'll have to give you a listen on Monday! But, heck, it's all Maverick Media, right? I was just over there a couple of weeks ago picking up a prize I won. 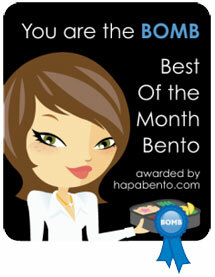 Thanks, but I really don't know much about bento, other than what I see on your blog! (My attempts are pale comparisons to yours.) Now, if you ever want to talk about strength training for women...it's hard to get me to shut up about that! 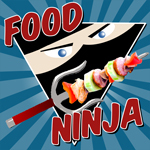 Sonoma Bento 100th Bento Winner!